Item # 306762 Stash Points: 2,495 (?) This is the number of points you get in The Zumiez Stash for purchasing this item. Stash points are redeemable for exclusive rewards only available to Zumiez Stash members. To redeem your points check out the rewards catalog on thestash.zumiez.com. 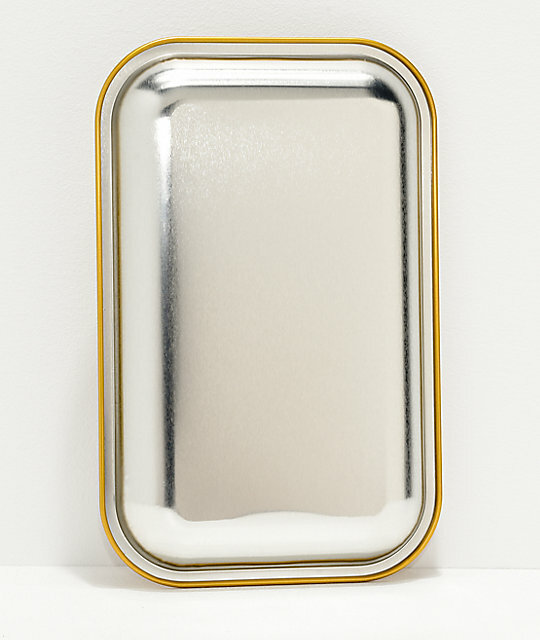 Keep your keys, coins and other odds and ends contained with the Primitive Ginza Gold Tray. This gold colored tray features the image of a Jaguar beside cherry blossoms, leaves and accompanying Primitive logo text. 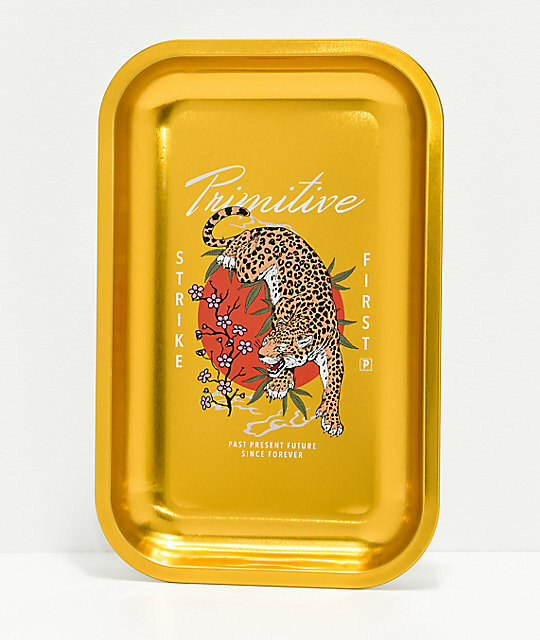 Ginza Gold Tray from Primitive. Shiny gold colored top, silver bottom. Jaguar image with cherry blossoms, leaves and accompanying logo text. 10" x 6" | 25cm x 15cm (approx. ).